Join us this Sunday for a church service with a difference. We will be open from 10am, when you can meet with others and chat over a bacon roll and or tea and coffee. There will also be quizzes and activities to get you thinking. ​Then from 10:30am we will have a Café Church style service with the normal singing and teaching, but also a chance to chat and discuss things at your tables. There will be Sunday Club and Sparklers for the youngsters as normal, but before they leave, some of the children will also be performing a little drama. ​After the service from about 11:30am, we are going to have a little party with cakes and some bubbly. 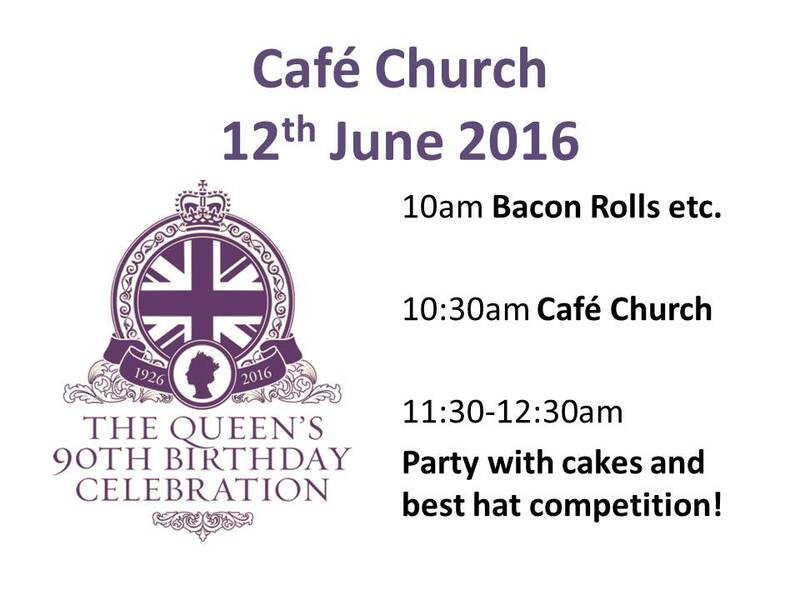 This will include a best hat competition, so come along with your best hat and see if you can win!